First it was my poor Brown Turkey fig tree, getting completely confused because I brought it into my warm dining room. Now it’s my poor garlic. Stupid weather. There’s a lot of pity in me for my poor garden. 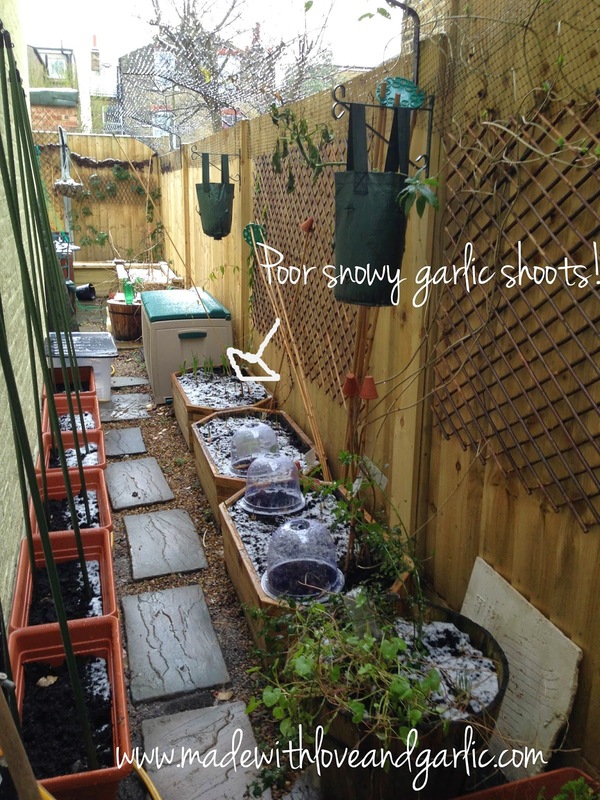 My garlic, dutifully planted on the shortest day of last year so that it could have a nice long chill in the soil. But then the weather was both mild and warmer than usual in January of this year so it started to sprout at serious speed. And then today, wonder of wonders, snow! In London! The sheer pollution and warmth of the city, combined with our somewhat southerly position, usually mean little, if any snow in the capital. And even when it does fall, it usually doesn’t stay. Indeed, the snow that I saw this morning didn’t settle because the ground was wet. But I’m worried that it’s going to kill off my young garlic shoots. 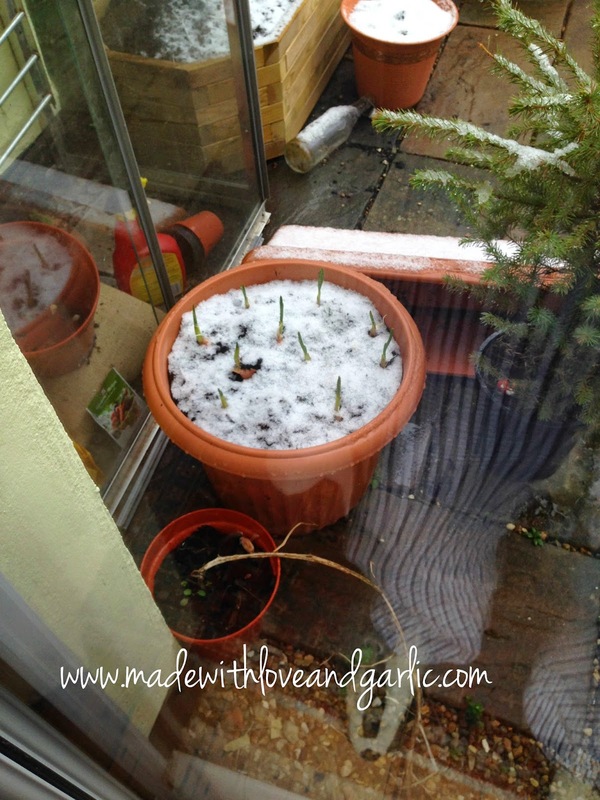 Surely the bulbs should have been frozen, not the actual plant? Oh well, nothing I can do about it now, but I really hope that I’m not going to lose my whole garlic crop. On a more positive note, the snow covered up the mess in my garden and looked pretty so hurrah for snow! 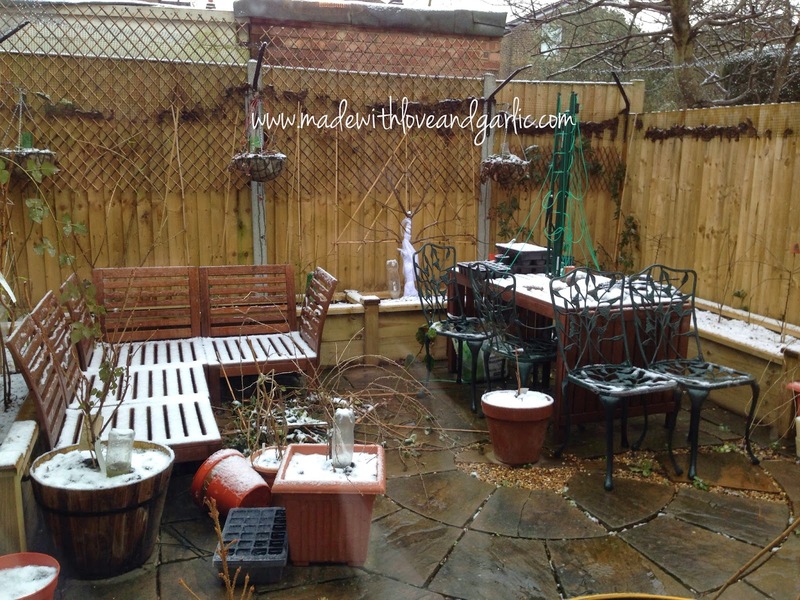 Mess more or less hidden – hurrah!